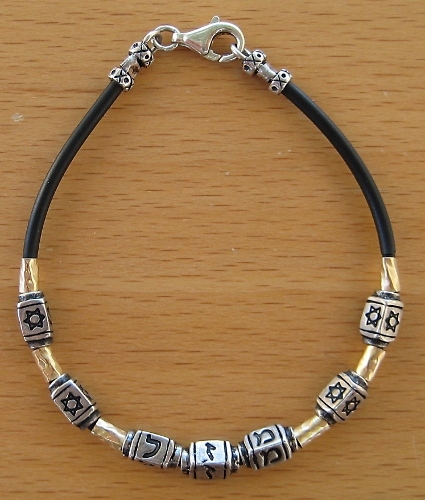 Sterling Silver and goldfilled beads on a black rubber bracelet. Customized to spell your name in Hebrew or English. Please specify the name and length of bracelet at the end of your order under 'Comments.....'.